SERIES PREMIERE! 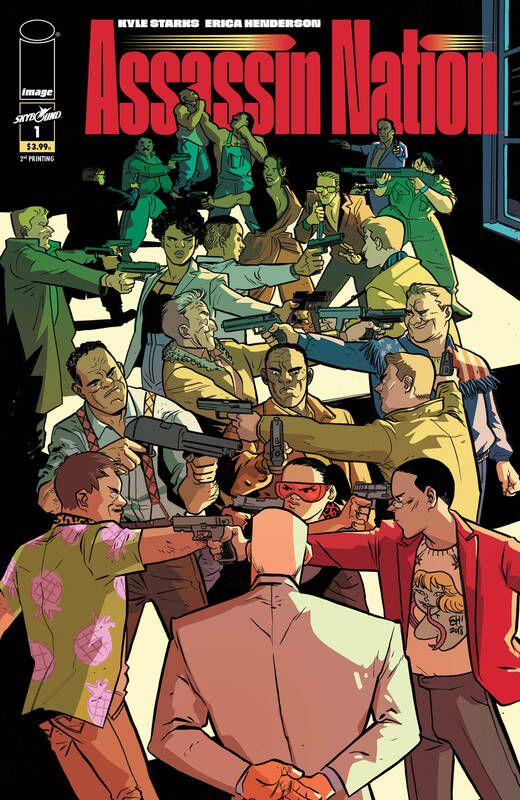 Hot off her breakout success at Marvel, two-time Eisner award winner ERICA HENDERSON (The Unbeatable Squirrel Girl, Jughead) teams up with KYLE STARKS (writer of sales beast Rick and Morty) for a hilarious twist on the hitman trope that will have readers laughing in the aisles over ASSASSIN NATION. The World's Former Greatest Hitman hires the 20 best assassins in the world to be his bodyguards. 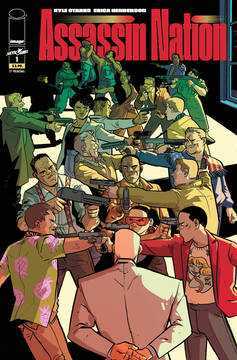 These mean-as-hell hired guns and murderers must work together to keep the new crime boss safe while attempting to solve the mystery of who's trying to off him. With the same laugh-until-you-cry spirit of action-comedies like Hot Fuzz, Tropic Thunder, and Deadpool, ASSASSIN NATION is the bombastic, side-splitting murder-fest you've been waiting for..